In case you didn't hear like the biggest Silhouette news of the year - no, not the new machines and software updates - but the inaugural All Things Silhouette Conference, I have some updates for you today including more speakers and vendors who are confirmed and just how many tickets are left! First of all, since announcing the 2 day conference in May, about three quarters of the 400 tickets have already sold. For just a few more days you can get the early bird rate of $199, but on July 18 the price will go up another $50. Also, a block of discounted hotel rooms is open for attendees - but selling out fast! The full list of classes will be coming soon, but I can tell you that Lori Whitlock, one of my favorite graphic designers, is among those who will be teaching. Lori will hold a card making class and will be selling some of her lovely scrapbook papers and products in the exhibit hall. Expressions Vinyl's COO, Jason Geary, (he's the one I'm always bugging for vinyl and giveaways for all of you!) 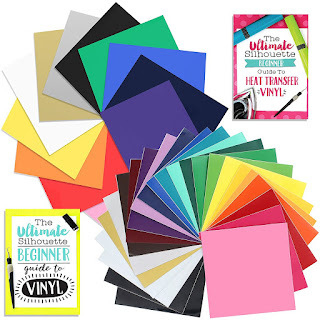 will teaching a vinyl class. Conference organizer Terri Johnson is planning to teach a course on the new software - Designer Edition Plus - -and how to cut machine embroidery appliqué & fabric with Silhouette. 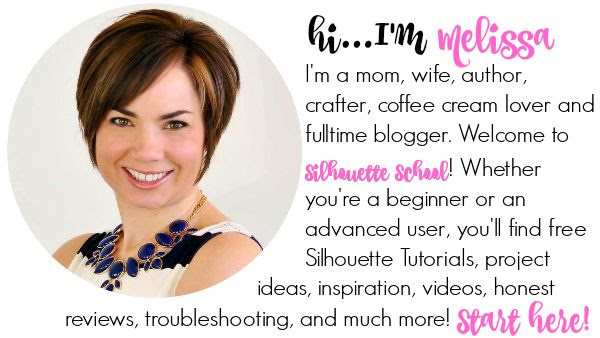 Blogger and Silhouette America contributing artist Amy Robinson will also be teaching a workshop on how to host a custom party with your Silhouette. She is also giving the attendees a “party pack” of supplies to take home to creates. 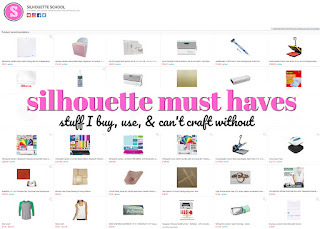 Kendall Ehat of Silhouette America will be teaching a class on how to use the Business Edition and plus another mystery class (actually it's just TBD as of now). Silhouette America is also donating a Curio & Mint as door prizes as well as hosting a hospitality suite with demos on new products! 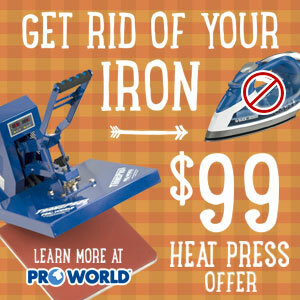 SewingMachine.com will be selling heat presses, vinyl products, and embroidery machines! And - -they are donating a Brother embroidery machine, as a door prize. They will also offer a class on beginning machine embroidery & how to use it with your Silhouette AND they will be discussing how to use a heat press! The Rhinestone World will also be joining us and teaching two levels of classes on rhinestones, as well as demos in their booth! 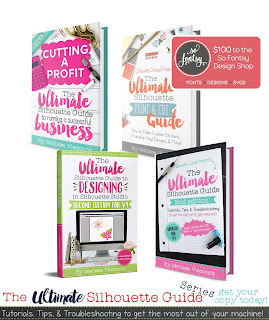 Blogger and Etsy shop owner Christine Schinagal of Cutting for Business will be teaching a workshop on how to use your Silhouette for a business. And yours truly, who is humbled to be the keynote speaker among all of these amazingly talented and crafty people, will be teaching two interactive classes each day. 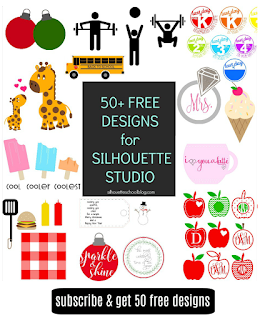 One hour long course will focus on designing in Silhouette Studio and using the software for all of your designing needs from photo editing to design and shape creation. The other course is still TBD, but I promise it will be amazing. I will also be selling and signing books - ebook and hard copies - and answering all of your burning questions - and when I can't be be at the booth because I'm teaching, you can meet my handsome husband who will be holding down the fort for me! 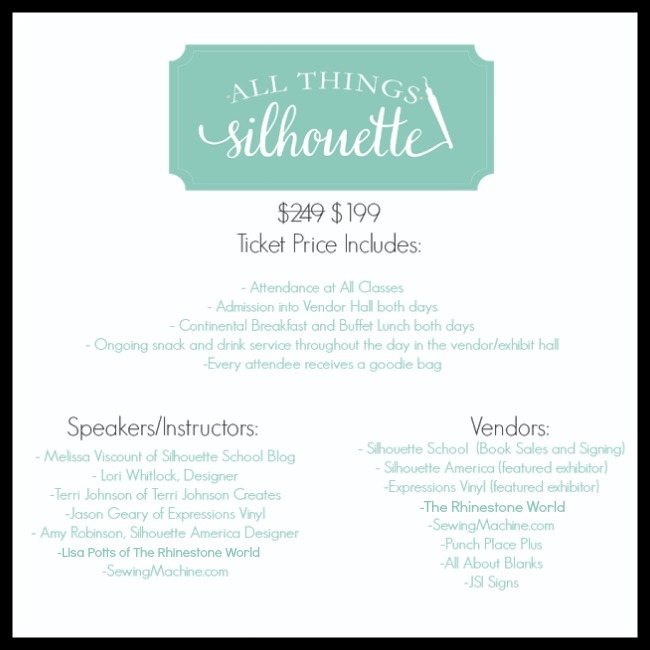 We have also confirmed a few more sponsors and vendors including Punch Place Plus - a crafting blanks company I've referred to many a times here on Silhouette School. All About Blanks and JSI Signs will also be among the exhibitors in the Exhibitors Hall. I will be there signing and selling books...both . 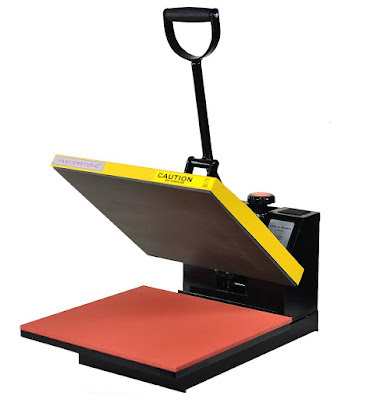 And as we previously announced, Silhouette America and Expressions Vinyl will be there as featured exhibitors. If you're attending, be sure to join the All Things Silhouette Conference Facebook page and check out the FAQ section for more details on the conference. I registered last week! I'm SOOOO excited, and loving the updates on what's happening! I live in CA. Any chance there will be a conference on this side of the country? Yes. CA would be great!